"Microflow cytometry: The Apogee A50 is a sensitive standard tool for extracellular vesicle analyses in liquid biopsies." 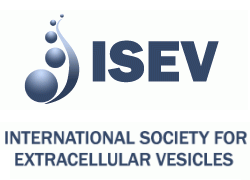 Apogee Flow Systems will again exhibit at the annual meeting for the International Society for Extracellular Vesicles. This is the premier meeting for researchers looking to tap the vast potential of extracellular vesicles for diagnostic and prognostic purposes. New research using Apogee's "Micro" flow cytometers for prostate cancer testing will be presented at the conference. "A rapid, automated surface protein profiling of single circulating exosomes in human blood." Cheryl L. Thompson, Huiping Liu et al. Apogee will be exhibiting at the 6th annual meeting of the Ohio River Valley Cytometry Association (ORVCA). We will also be giving a lunchtime Tech Talk on the latest developments in small particle flow cytometry. All are encouraged to attend!